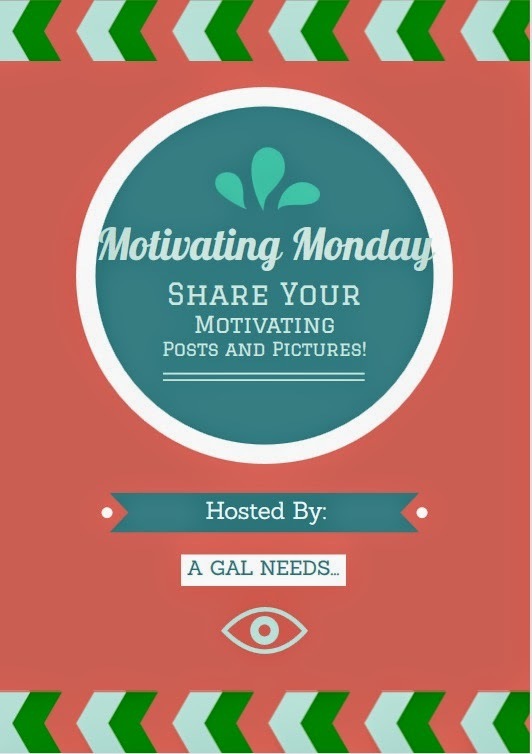 A GAL NEEDS...: Motivating Monday! Life Happens And Build Your Blog Conference! Motivating Monday! Life Happens And Build Your Blog Conference! This week "life happened" as they say. The Build Your Blog Conference was this past weekend and I had been looking forward to it, ever since I had been sponsored by Taste Of Home earlier this month. It was such a treat because this was to be my first blog conference EVER! Then the day before, I got a call at work from the Sandy Fire Department, telling me that my husband had been in a biking accident and that he was waiting for me at Emergency. He assured me after my questioning that everything was fine and he was just there for observation and check-up, standard procedure after one LOSES CONSCIOUSNESS! When I arrived, he was awake, but he looked like a zombie. His face was swollen and his eye was bloody and bruised. He had all kinds of road rash and abrasions covering his body. Apparently he hit a bump while he was braking and pulling into an Exxon Station. He was thrown over his handlebars and landed on his face. He broke his left orbitol bones and cheekbones, loosening them from the rest of his skull. Surgery is this coming Thursday. He gets titanium plates in his face. Luckily he got to come home with me but I wasn't sure if I would be able to attend the Blog Conference, because he was in need of major attention. I'm afraid I wasn't as great of a nurse as I imagined myself to be in such a situation. Since I knew his injuries weren't life threatening, I still decided to at least attend some of the conference. I left him with his pain meds, some soups and ice cream for a few hours, and headed up to the blog conference. I missed the opening and closing events both days but was able to attend the Taste Of Home Trends Event, which was amazing! It went above and beyond food presentation and submitting recipes. Something I learned that is pertinent to any blog is how a post is presented. Too much text in a post can be intimidating and discourages readers. On the other hand, too many pictures make a post too busy. It's all about balance! I did find out about the top recipe draws and that variation is the key! I also got to attend 3 of the 5 classes offered to us. These classes were so informative and I learned a lot and received some inspiration about blogging that I hadn't had before. I missed the gala event which, in addition to being a great mixer and a chance to dress up, was where we heard about the Blogger of the Year. But even having missed some of the main events, I came away loving every minute of it. I can't wait to go next year! In the meantime, hubs is steadily improving and I'm so thankful that his injuries weren't any worse. We're gearing up for surgery this coming Thursday. He should eventually realize a full recovery. Sometimes life happens at the most inopportune times! The thing that I felt was all-important suddenly needed to take a backseat to what is really the most important, my husband. I'm with Oprah who says that every single event in life happens in an opportunity to choose love over fear. I'm really full of thankfulness because I still have a husband, with a few more scars--badges of an active life, AND I got to attend some of a really great conference. If I had been filled with fear that my husband wouldn't be OK without me for a few hours, I might not have made the choice to go to the conference at all. And if I was so consumed about missing the conference, I might have been filled with resentment and fear of missing out. 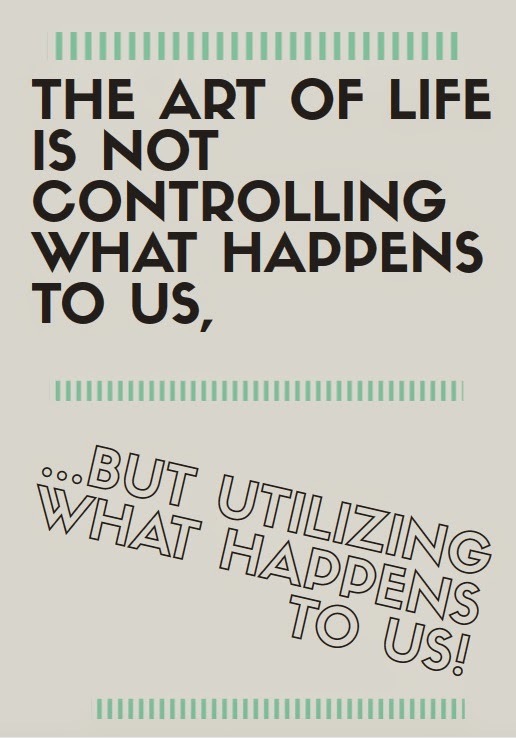 Have you utilized your own inevitable life's circumstances into something that can benefit you? Today is Motivating Monday! We all need a little motivation! I, for one, love to explore other sites for motivating posts, tips, pictures and videos! If I happen to find yours, I'll link it up and let you know! It's like being featured! Sometimes I miss some amazing posts. So, in addition, if you'd like to link up yourself, you can do that too! I'll visit your site, comment, promote and publicize! Don't be shy--I'm really very supportive! Remember, any link to your posts helps your blog numbers increase! Have a great week! Thank you for linking up my series, Helena. :) I'm so glad your husband is okay! Was "biking" accident a motorcycle accident? I've never been to a blogger conference but I REALLY want to go to one. Gonna have to keep my ears open and plan for the next one, I think. This struck a nerve as my 22 year old daughter has dropped her bike TWICE. Terrifying. Glad to know your husband is ok.
Hi Lindsey, It was a biking accident! And yes, although he's going to be ok, the recovery process is really something. Terri, It really is terrifying because you wonder if or when it will happen again. Silvie, Thanks so much for the well-wishes! I feel for you husband.My son had a bike accident like this and broke his jaw in three places. He was wired for 8 weeks. I can't wait to go to my first blogger conference, unfortunately there's really not one near me. Thanks for sharing!